Ben Wright the creator of Scavenger and Scavenger 2 has kindly agreed to answer some questions about his games, programming and the Amiga in general. 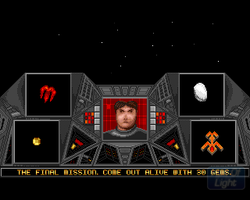 You are credited with completing the graphics, music and programming for Scavenger - what programs did you use? The coding for both games was done in Amos Creator (I know next to nothing about assembler); for the graphics I used Deluxe Paint IV (the backdrops for Scavenger 1 were rendered with Real 3D); the music was composed in MED. I'm afraid I can't remember the respective versions of these applications. What games influenced you when making Scavenger? I'm not exactly the world's greatest programmer so I just sat down one day and figured out what genre of game I could potentially create. Obviously the Scavenger games are loose reworkings of Asteroids. I suppose they bear some similarity to Blasteroids as well. In what area had you improved as a game designer between Scavenger and Scavenger 2? I think Scavenger 2 is the superior game. The first game is miles to hard (I think it's actually impossible to complete). The sequel, although still a challenge, has an improved design and learning curve, and can be completed. Plus it looks more polished and professional. In terms of coding though they are relatively similar. Were there any features you wished you had included in the Scavenger games? 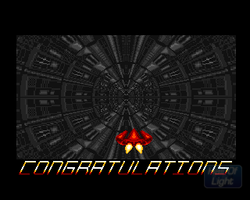 The first game could have done with having more powerups, as it was sooo friggin hard! How did you motivate yourself to finish the Scavenger games? Back when I was using the Amiga I started many PD-type projects, although gave up on most of them. They were either far to ambitious and beyond my abilities, or I went about them completely the wrong way, such as putting off the coding and doing all the graphics and music first. I think I took the right approach with the Scavenger games and their development generally ran smoothly. 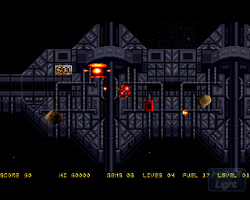 Apart from all my abandoned bedroom efforts, there was one game called Dark Millenia. Back in the late nineties, I submitted some of my graphics work to a company called Crystal Software and they were impressed enough to offer me a position on their team. 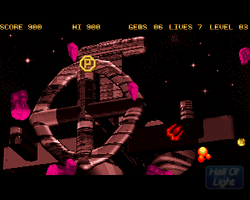 The job involved doing the graphics for the intro sequence to their game Dark Millenia, a commercial Amiga title. 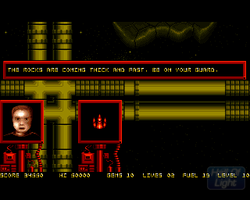 The intro comprised some twenty-odd static screens depicting the game's back story. The project fell through however when the game's programmer did a runner and they were unable to track him down. A shame really as it looked like quite a good game. Did you ever collaborate with other programmers / artists / musicians or did you prefer to work independently on your projects?? Being a massive control freak, I prefer to work on my own projects. If the project messes up, I've only got myself to blame, if I'm working with a team... See my answer to the previous question. I did however do the music and some of the graphics for a Dungeon Master style game called The Prophet, released on the Amiga back in 1999. Which amiga hardware did you prefer Amiga 500 / 600 / 1200 as a programmer?? I had an A500+ then later an A1200. I suppose I preferred the 1200 because of the enhanced graphics etc, although most stuff I produced was intended for all Amigas. Only in the most marginal capacity. I dabble in Dark Basic on the PC and recently coded a Space Harrier type game called Antagonism. Game production is more like film-making these days. Huge teams with each member working in their own specific little niche - not my thing at all. The days when one person could code a bestselling game are long gone I guess. AmigaPd would like to thank Ben Wright once again for taking time to answer our questions and support our website. 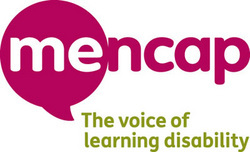 We hope you enjoyed reading the Ben Wright interview - remember AmigaPd is charity ware - please visit our just giving page to support our chosen charity Mencap.